Grace Church Welcomes John A. Wolfe to Bach at Noon Tuesday 20 September at 12:20 p.m.
John A. Wolfe as guest artist for Bach at Noon on Tuesday 20 September at 12:20 p.m.
John A. Wolfe is a New York City-based organist, choral conductor, concert producer and music educator. His 2015-2016 season highlights have included a Doctoral Organ Recital at the Unitarian Church of All Souls in Manhattan, a performance in the Norma and Murray Horowitz Recital Series at Queens College, and a trio of self-produced recitals exploring the evolution of French organ music over three centuries. 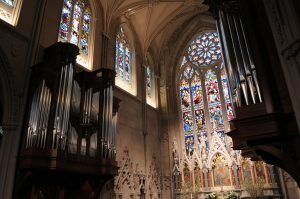 As a choral accompanist he has recently performed Mozart’s Requiem and Schubert’s Mass in G in the SummerSings series at the First Congregational Church of Norwich, Connecticut, and in a concert showcasing the music of Cole Porter at the Congregational Church of Manhasset, New York. He has been a featured performer in the Prism Concert Series at Central Synagogue in Manhattan, the short film Fugue by Boxed Wine Productions, and in T.S. Eliot’s Murder in the Cathedral at St. Joseph’s Church of Our Lord in Brooklyn, earning favorable reviews in the New York Times and Time Out New York. In Fall 2014 Mr. Wolfe began the Doctor of Musical Arts degree in Organ Performance at the Mason Gross School of the Arts, Rutgers University, under Renee Anne Louprette. 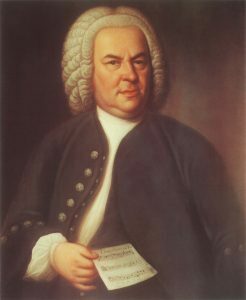 While at working towards his doctorate he has performed with the Rutgers University Baroque Players and Rutgers University Wind Ensemble, and participated in master classes with Michel Bouvard, Nathan Laube, Kimberly Marshall, Alan Morrison and Gordon Turk. In May 2014 Mr. Wolfe earned the Master’s Degree in Organ Performance at the Aaron Copland School of Music, Queens College, under the direction of Dr. Walter Klauss. Mr. Wolfe performed with the Queens College Baroque Opera Workshop, as a member of the Queens College Baroque Ensemble and as an accompanist for the Queens College Vocal Ensemble. In Fall 2012 he appeared with Congressman Joseph Crowley, Anjelica Huston and Carole King in the Queens College ceremony honoring Nobel Peace Prize Laureate Aung San Suu Kyi. He is also an Honors graduate of Vassar College, where he earned the Bachelor of Arts Degree in Organ Performance under Dr. Gail Archer and studied abroad at New York University in Prague, Czech Republic. 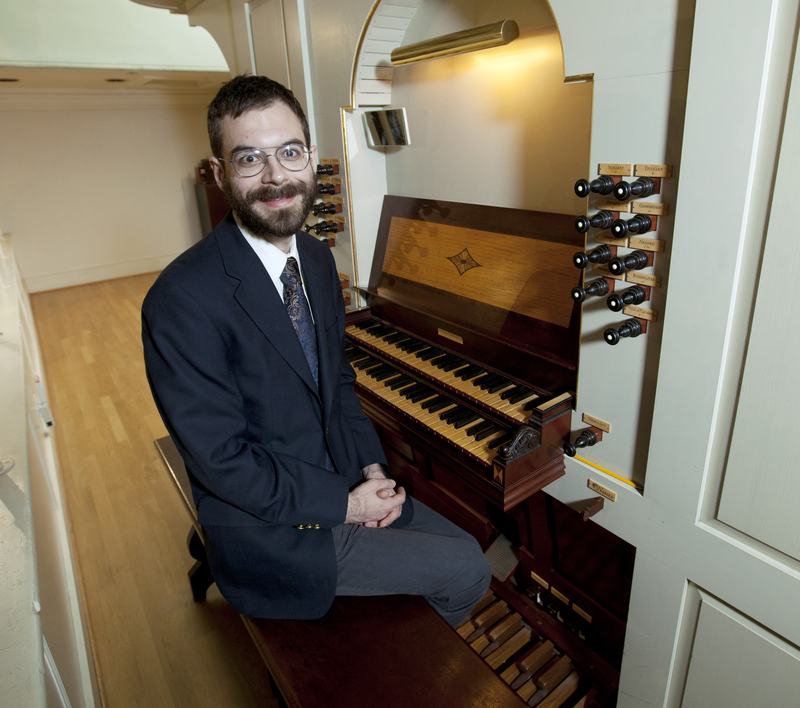 Mr. Wolfe is a winner of the Drinkwater and Shaw music awards from Rutgers University, a winner of the Maynard Walker Organ Award from the Aaron Copland School of Music, and a winner of scholarship competitions hosted by the Queens, Nassau and York chapters of the American Guild of Organists. 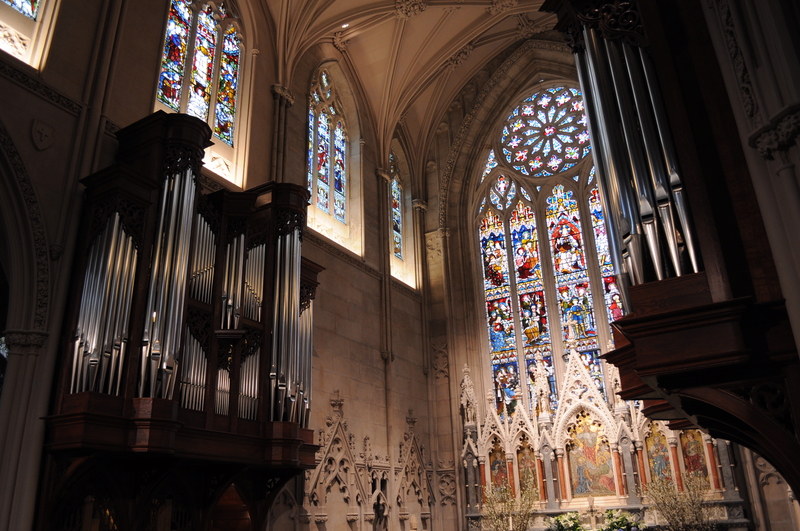 An experienced church musician, Mr. Wolfe serves as Organist and Music Director at Blessed Sacrament Roman Catholic Church in New Rochelle, NY, in which capacity he leads the chancel and youth choirs and performs more than 200 masses per year. From 2013 to 2015 he was the Interim Music Director at the First Baptist Church of White Plains, NY and from 2010 to 2013 as the Organist and Minister of Music at the Evangelical Lutheran Church of Christ in Rosedale, NY. He is on call for performances across New York City at weddings, funerals and worship services of all kinds, and he has performed for every mainstream Christian denomination and for Jewish worship. His training as a sacred musician has given him confidence and sensitivity in musical traditions of all kind, from contemporary to ancient. He is an active member of the American Guild of Organists, serving as the Sub-Dean of the Brooklyn Chapter and as a member of the New York City Chapter. A native of Gettysburg, Pennsylvania, he resides in Manhattan.